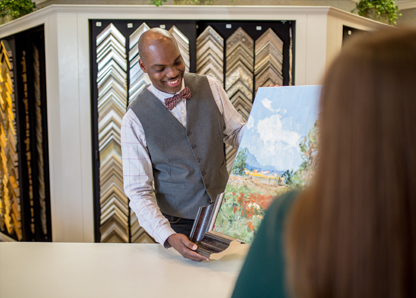 PICTURE FRAMING GREENSBORO | The Art Shop, Inc. 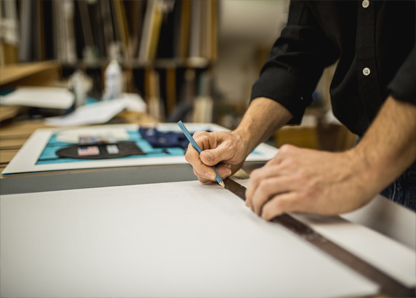 The Art Shop has been the Triad’s most trusted custom framer since 1899. The experience and longevity of The Art Shop’s framers are unprecedented in the industry. All of our career framers have anywhere from 15 to 30 years of experience. They have won awards as much for their technical expertise as for their creativity. Each job is delivered with utmost skill and reliability, whether handling basic everyday items or priceless museum-quality artwork. All framing is done on-site at our state-of-the-art framing facility located within our 5500 square-foot gallery. Using the most innovative tools and technology, we are able to deliver a superior quality product. Let our experienced designers help you to select the perfect frame to enhance your artwork. We will make sure you are never overwhelmed with choices, or underwhelmed with creativity! We believe the art is the first thing one should see when entering a room, not the framing. Our goal is to compliment the art – not compete with it. We always strive to exceed your expectations and provide a classic look you will enjoy forever. All of our frame designers have been with The Art Shop for 10 years or more. With this experience comes the ability to find a design that is perfectly tailored to your personal style. We are very proud of the frame options we are able to provide for our clients. The Art Shop has thousands of moulding and mat selections in a variety of styles. 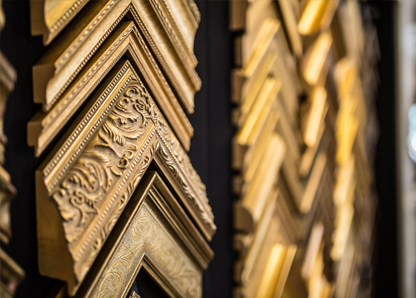 We continually update our frame collections to stay up to date on the latest trends in picture framing and interior design. In addition, The Art Shop offers 22K gold leaf hand-carved frames. We have over 30 profiles and finishes from which to choose. They are particularly stunning on portraits, oil paintings and mirrors. The techniques used to carve and gild have remained virtually unchanged for over 500 years.